First off, numbers! 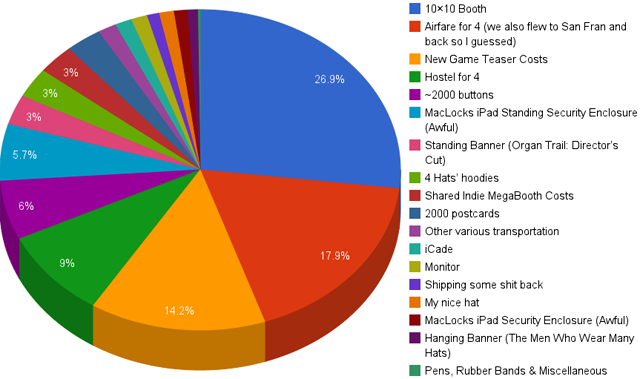 Here is the cost of the booth if say… you were a new indie studio who wanted to go to PAX East for the first time with the setup that we had. We were showing Organ Trail: Director’s Cut mostly. It was on the standing iPad case and a laptop, with the trailer playing on the raised monitor. We went through all 2000 buttons about half way through the 3rd day and had about 60 or so of the postcards left over. We were aggressively handing them out on day 3 because they are a pain to carry back home. 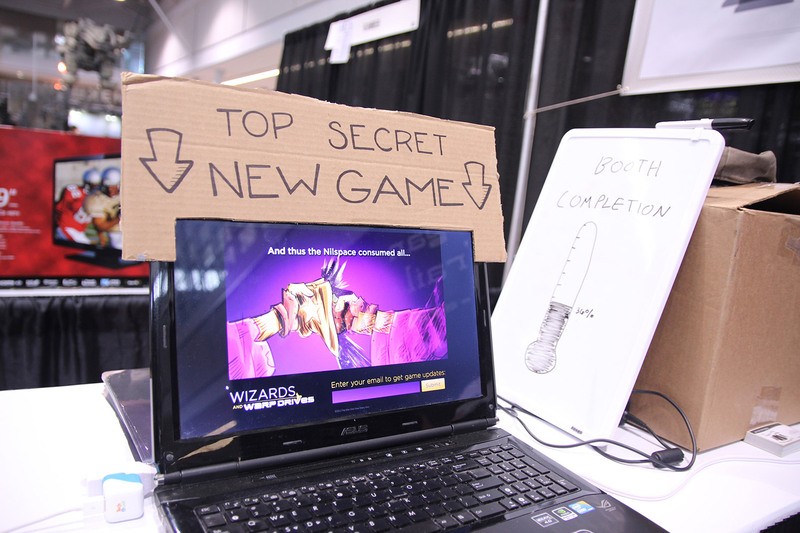 We had another computer showing a teaser with an upcoming project, Wizards and Warp Drives, which you can see the teaser for on Touch Arcade. We had a mailing list below it and got a modest 136 people to sign up. Finally, we had an arcade game we made for a game jam to make games for an arcade machine we built here in Chicago. The game is Max Gentlemen Presents: A Gentlemen’s Drinking Game. Polygon did a nice write-up about all that. So we ported the game to iPad and brought an iCade (a tiny arcade cabinet designed for the iPad.) 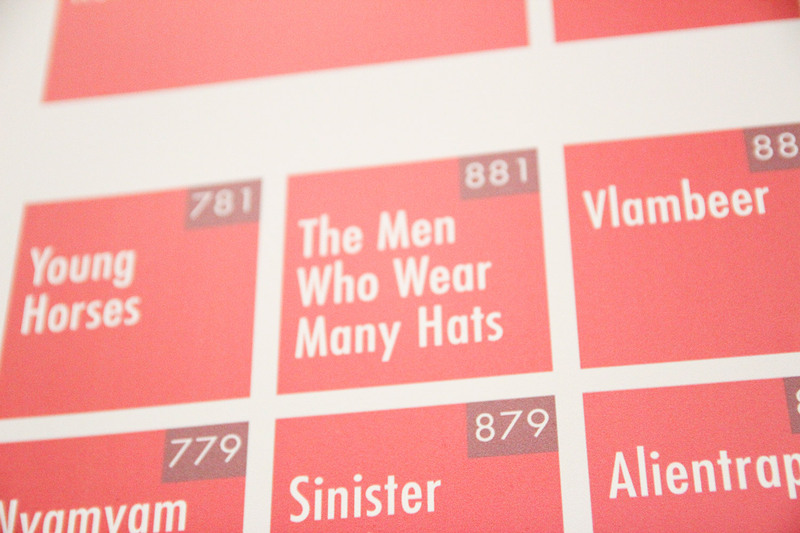 We put a sign on it saying that the top score for each day would win “Hats’ games for life.” This was the show stealer. We have a lot of people coming back to try and get the high-score and a lot of people asking us where they could buy the game. 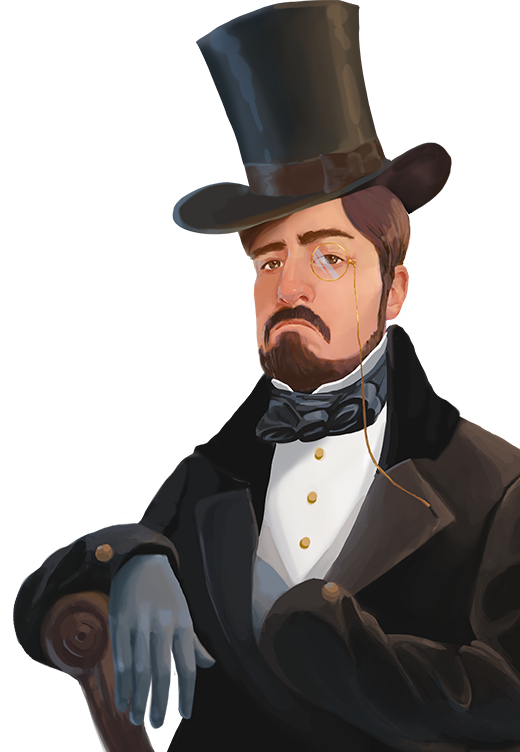 So, in light of that, we’re looking into making a “free” version to put out fairly soon. The point of our booth was to make it interactive and to show a variety of things. We wanted actionable items for people who visited our booth. 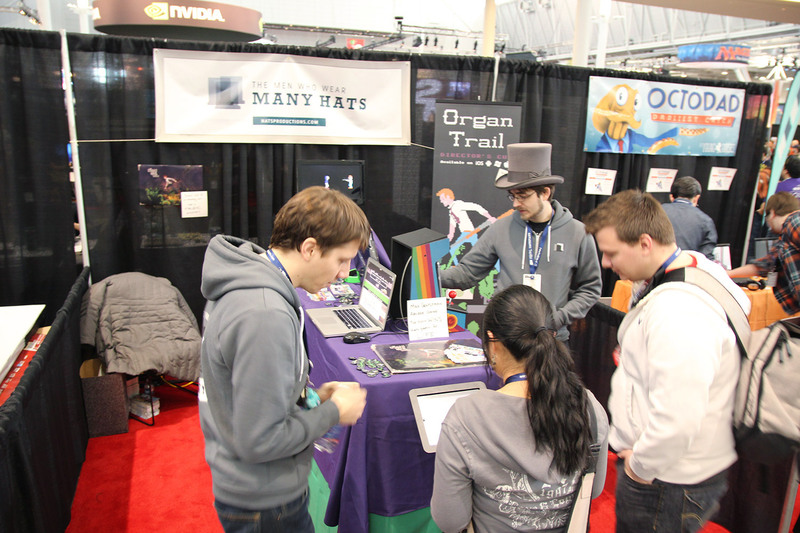 You could buy Organ Trail right then on the platform of your choice and if you were interested in the new game you could sign up for the mailing list. 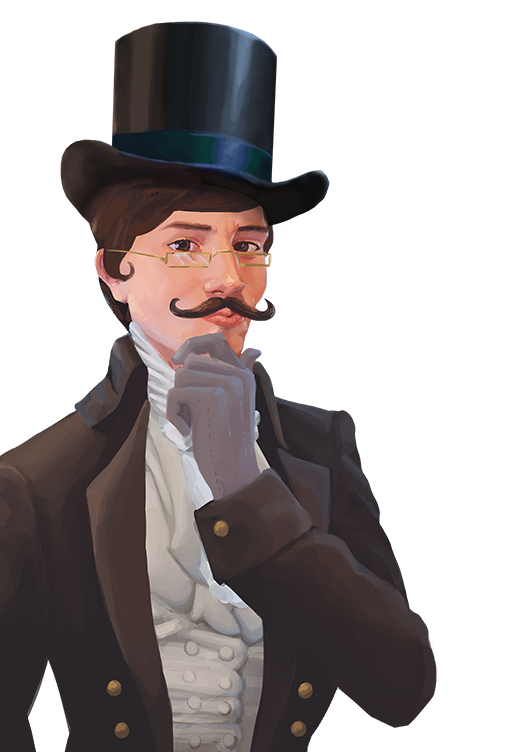 If you were familiar with us and wanted to try something new, we had Max Gentlemen playable. We were in the Indie MEGABOOTH which was awesome and I couldn’t have asked for a better placement, right between Vlambeer (Super Crate Box, Ridiculous Fishing) and Young Horses (Octodad.) We had a steady enough stream of traffic that we were never empty for more than 30 seconds but it wasn’t too busy to take some time and engage with our fans and really talk to people that came by. If I had to guess… I would say maybe 5000 people stopped by. One thing I would do differently next time is to print out steam keys and sell them there at a discount. I think that’s a great way to capture potential customers who might forget about your game by the time they get home. The real reason for going to PAX East is to meet all the other cool developers. We met them. They are cool. 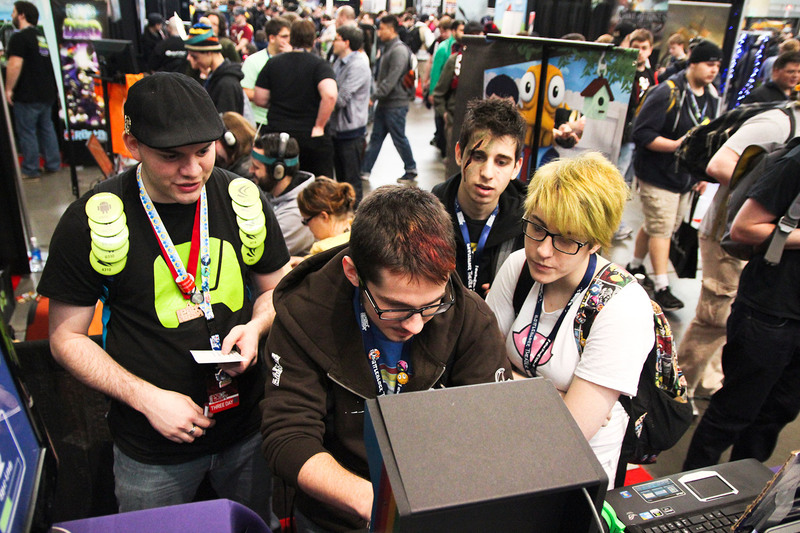 Anyway, that’s our PAX East. It was cool and I would love to do it again. The best part about it was seeing people really respond to a tiny game we made and I’m glad we decided to show it. And the worst thing was not having a giant spinning pillar of hats above our booth.